This is the third part of my blog on selecting a circuit breaker. And there are still some more IEC 60947 2 requirements to consider. One I reckon particularly important requirement is rated insulation voltage (Ui). Ui is the voltage that references the voltage environment. In other words, the higher the Ui the less damage is likely. In daily use, 220 volts is safe. But if a circuit breaker is tested at the higher voltage rating of 500 volts, you can be sure its isolation properties will not be changed when the circuit breaker is in use. The rated impulse withstand voltage Uimp sets the maximum voltage a circuit breaker can withstand without failure. It is expressed in kilovolts (kV). In an apartment, for example, 4kV is ample, while industrial devices have Uimp of up to 8 kV. Another reference value is the reference temperature. It is the temperature for which a circuit breaker is calibrated. For household applications it is usually 25°C or 30°C. This not enough for industrial applications where the temperature in a switchboard can reach 50°C and higher. However, manufacturers usually supply temperature rating tables which show the nominal current for different temperatures. For example for a 63-amp circuit breaker, it may be 70 amps at 30° and 56 amps at 70°C. I think we have covered most of the important requirements in IEC 60947 2. But there are still one or two more points to raise on the subject of selecting a safe, reliable, robust circuit breaker. 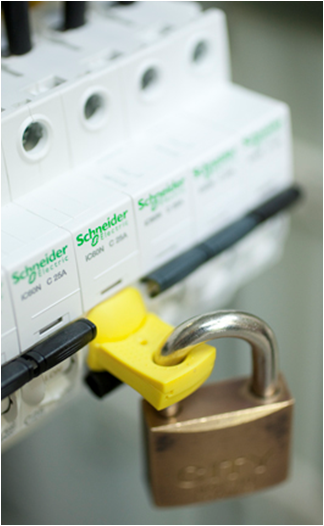 For example, a circuit breaker should incorporate a lockout mechanism to prevent any unpermitted closing. It stops both manual and remote closing, and only releases the circuit breaker when a safe power source is used. And à propos of manual and remote, a valuable feature is a trip indicator that can be mounted on the trip unit. It tells technicians whether the circuit breaker tripped because of overload or a short circuit or whether it was manually turned off. Some requirements make it a good idea to have auxiliary systems like remote control and monitoring. 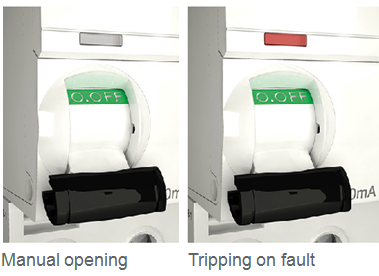 Remotely controlled reclosing mechanisms, for example, provide backup in the event of accidental or harmless tripping. In this three-part blog we have run through the most important requirements from IEC 60947-2. You should bear them in mind when selecting a circuit breaker, although not all are needed by all applications. But if you think I’ve missed anything, if you have any tips, or just want to know more about IEC 60947 2 put your comment. Some MCB have IEC 60898 what is this standard and what is it used for. The IEC60898 is the standard for circuit breakers for overcurrent protection for household and similar installations. The first part of the standard is for AC applications, the second is for DC applications accordingly. The IEC60898-1 is in line with IEC60947-2 requirements but it is designed to keep on one hand simplicity, on other hand minimal requirements proof for use by uninstructed people for applications not exceeding 440V and rated current no higher than 125A. We will discuss it in next blog comming soon. It is welcome to follow. Please inform me if there is an IEC standard that states a mccb should be primary/secondary injected at the FULL rating of the mccb rather than primary/secondary injected at the set rating of the mccb. ie 400A breaker should be tested at 3x400A=1200A or if the 400A mccb is set at 160A then 3x160A=480A would satisfy the IEC standards. Reading through all of this is a lot to take in, I am wondering what the difference between the 80% rated and 100% rated circuit breakers are, if at, say 200 amps I can load both to 200 amps. I understand the non continuous and continuous factor, but can I actually buy an 80% AND/OR a 100% breaker?